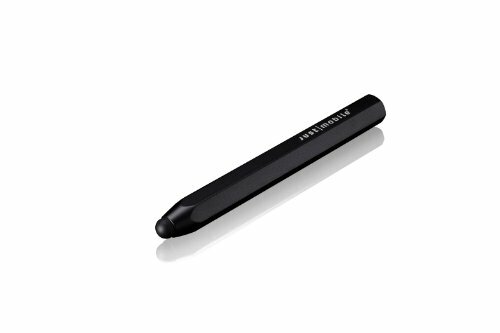 Just Mobile AluPen is a chunky pencil-shaped stylus that gives you precise control over your iPad, iPhone and iPod touch. Sculpted from aluminum, with a soft rubber nib, the Alupen makes drawing and writing a uniquely smooth experience. This is why it's the essential accessory for creative tableteers.With it's pencil styling, the AluPen is perfect for painting, drawing, and writing on your iPad. It works great with drawing and painting apps. The rubber tip moves smoothly across the screen without it sticking. The length is perfect for the hand with a thickness that makes it comfortable to grip. Ultra-soft rubber nib for smooth control. Compatible with all capacitive touchscreens. Works with all iPad & iPhone apps. Perfect partner for drawing and painting apps. If you have any questions about this product by Just Mobile, contact us by completing and submitting the form below. If you are looking for a specif part number, please include it with your message.